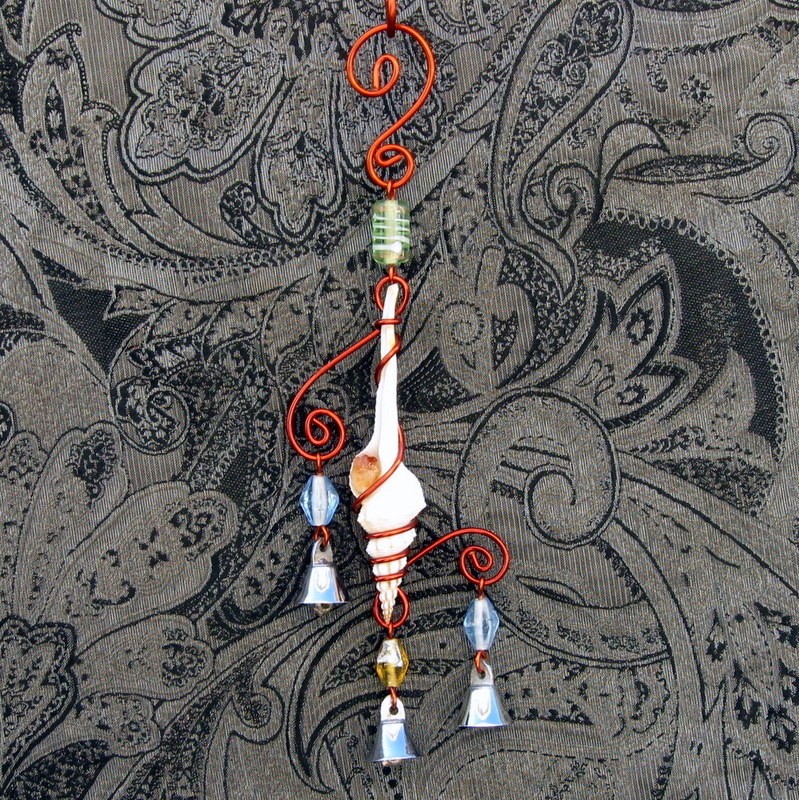 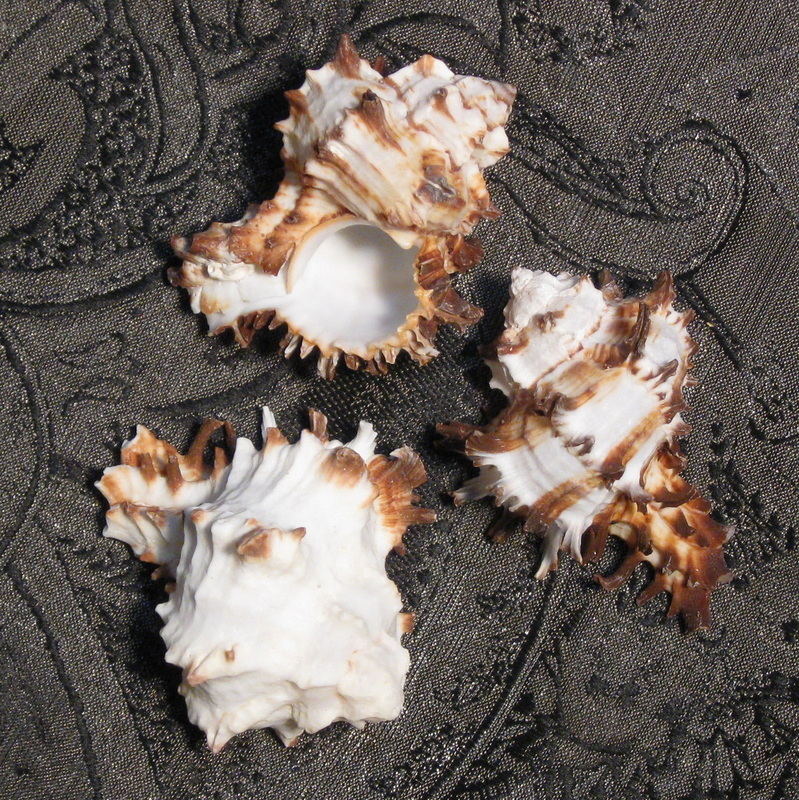 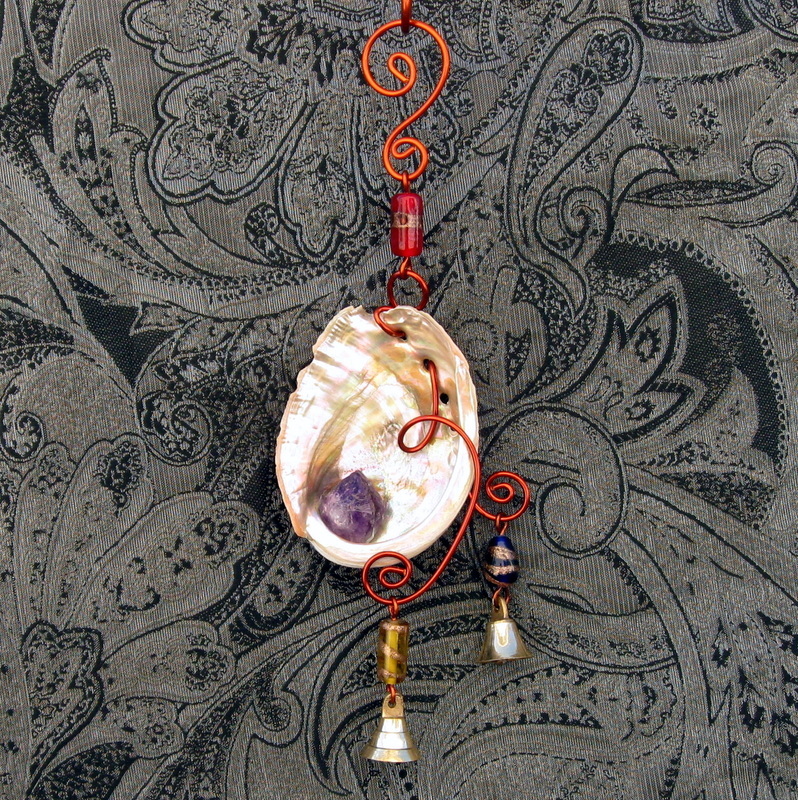 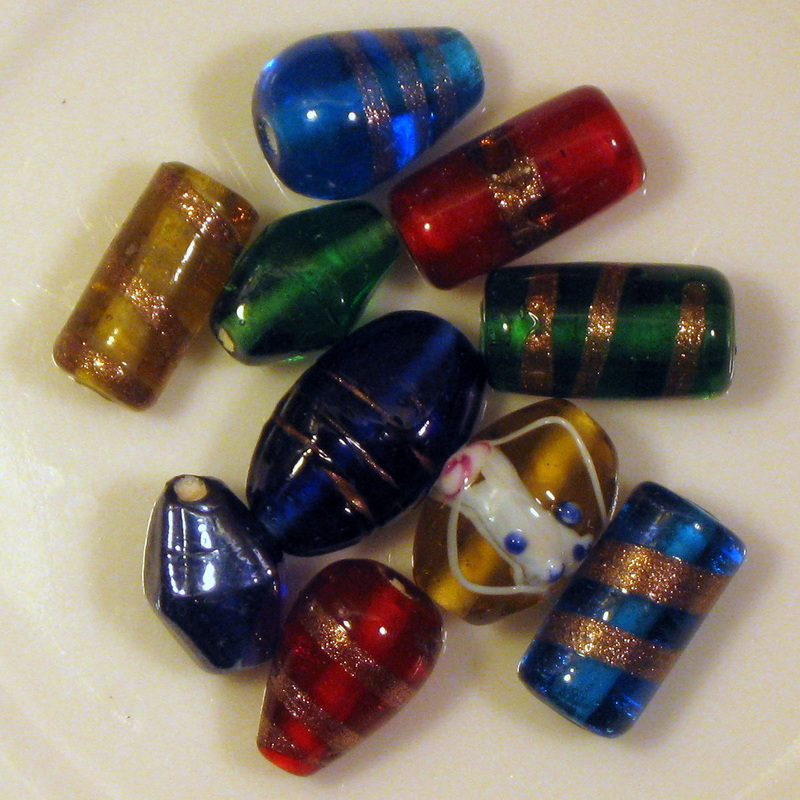 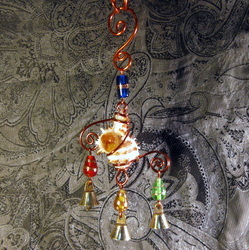 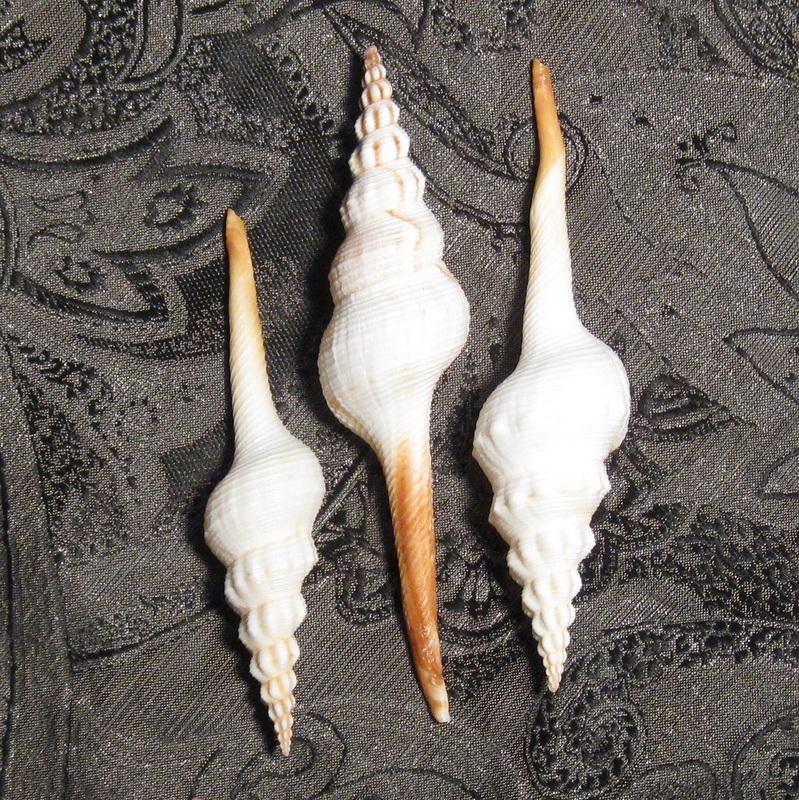 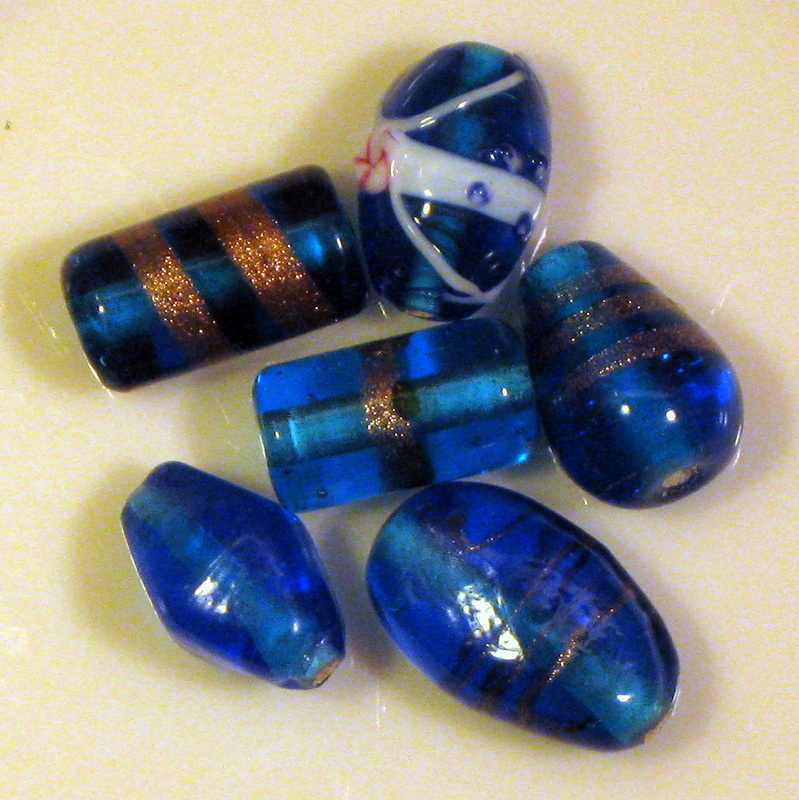 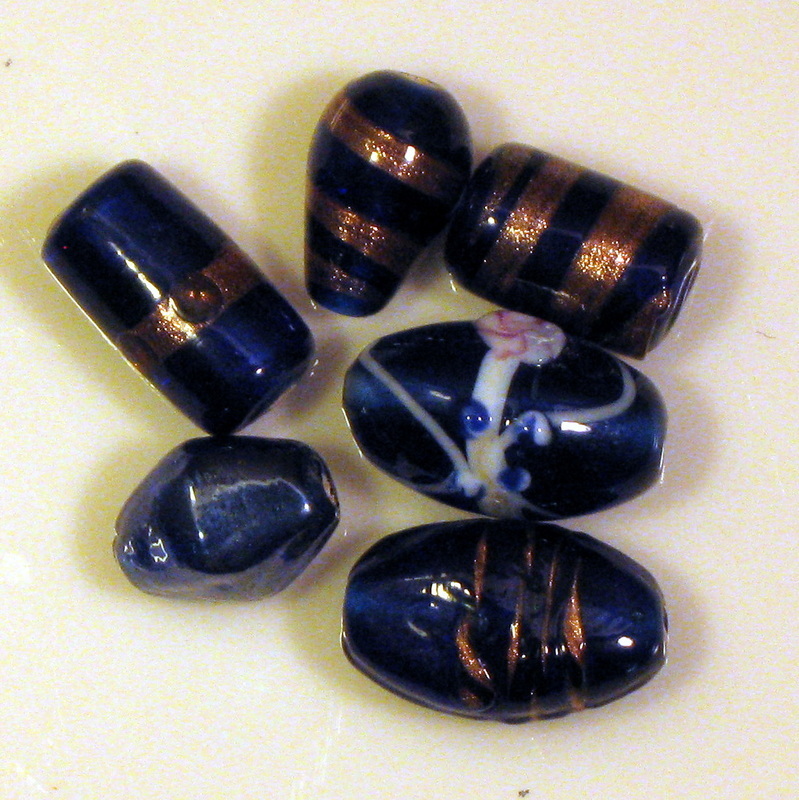 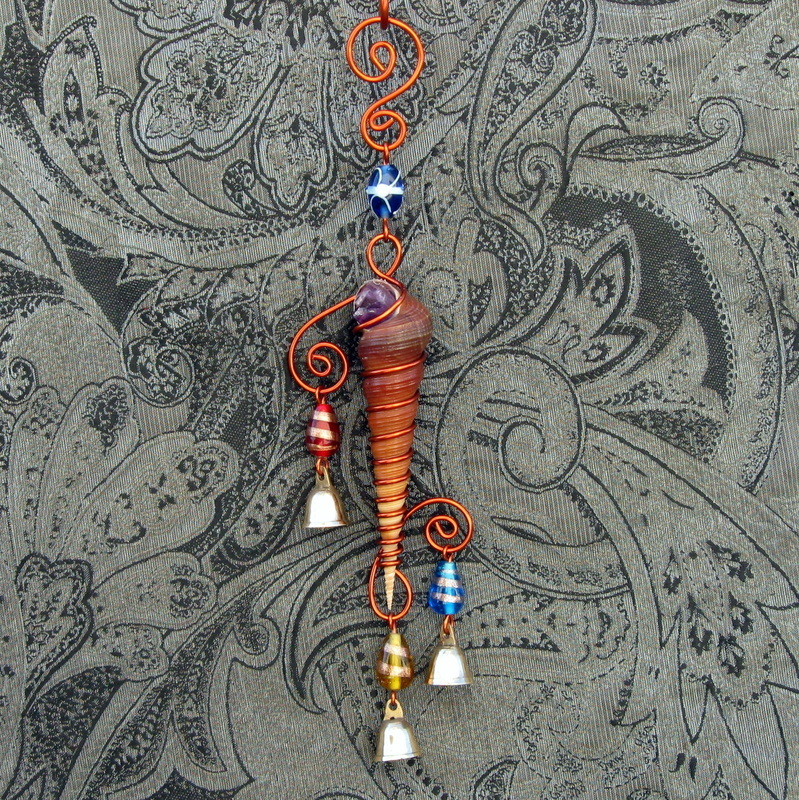 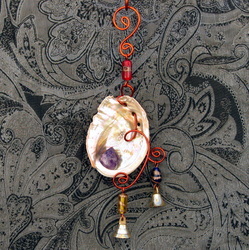 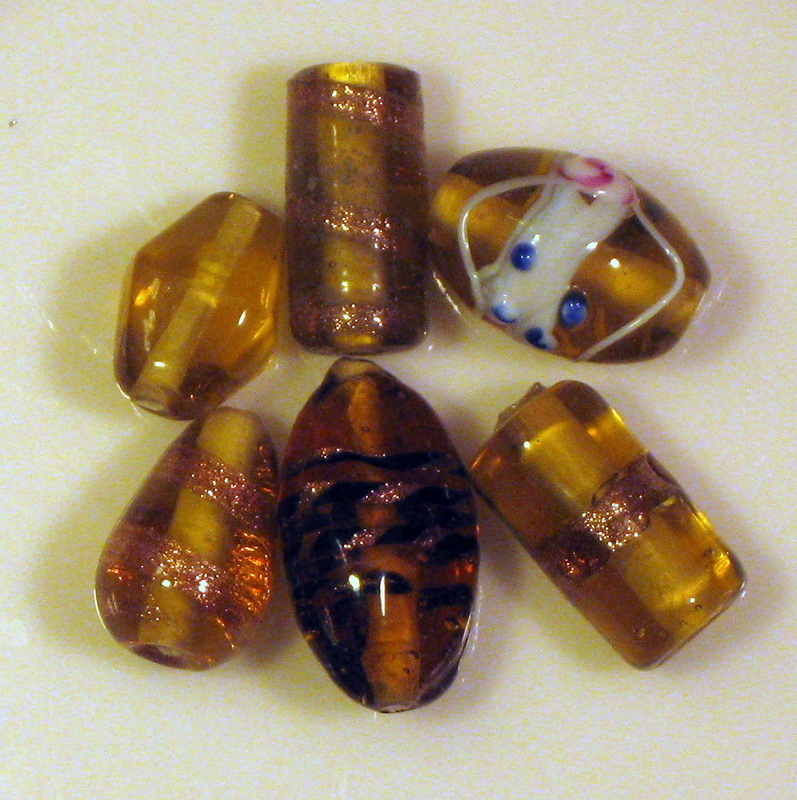 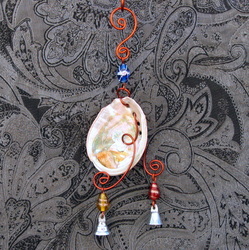 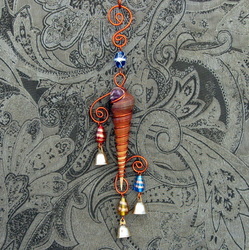 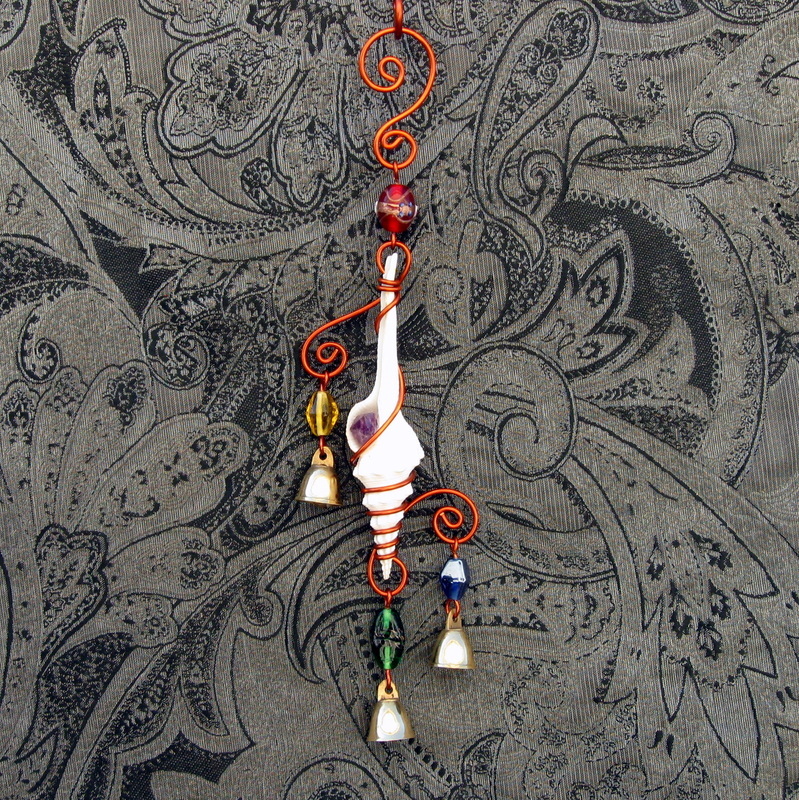 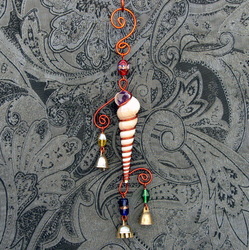 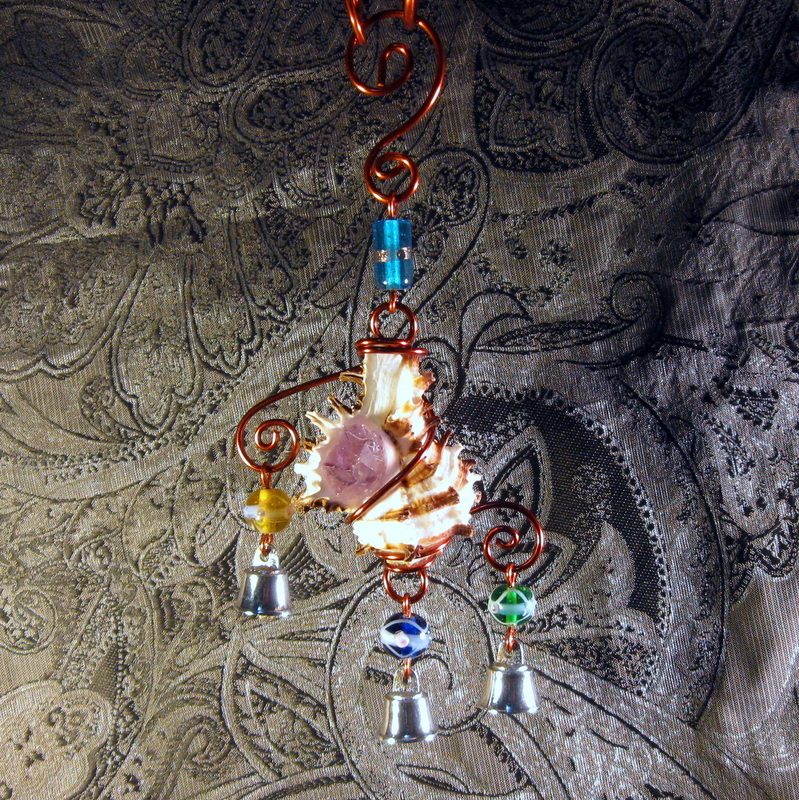 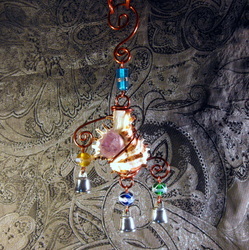 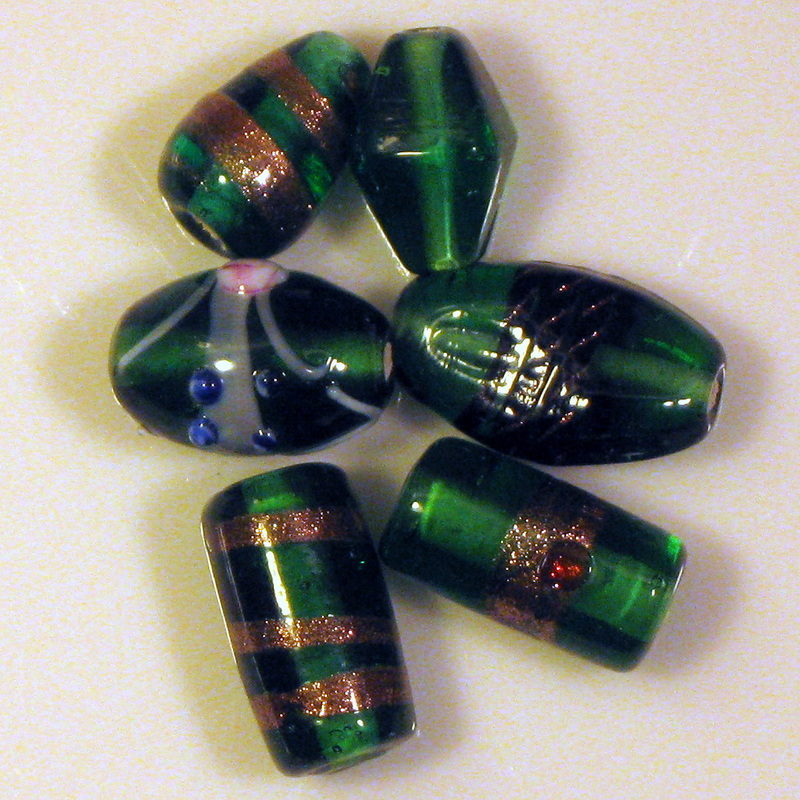 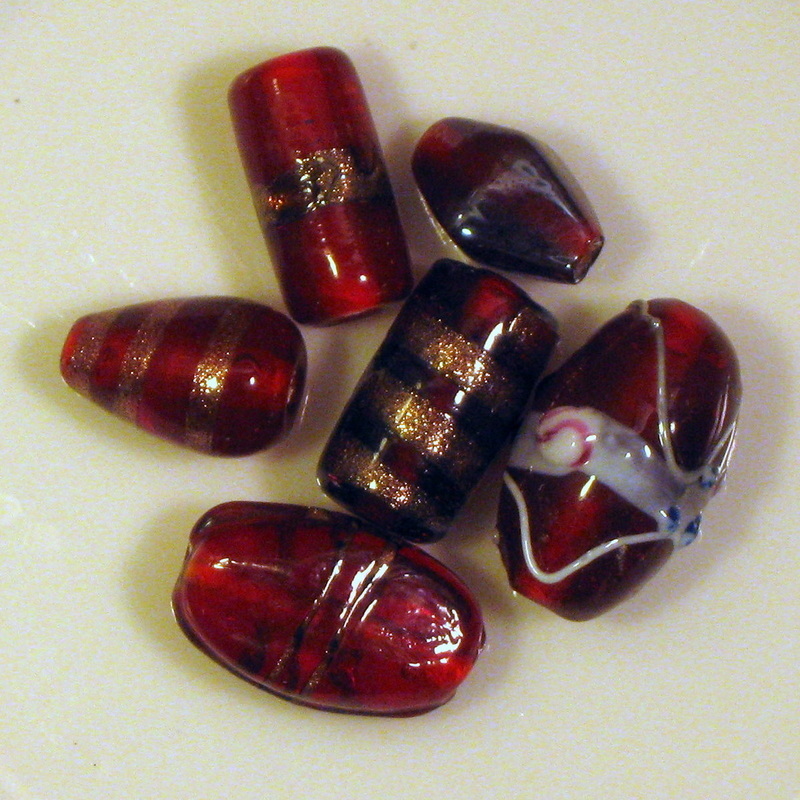 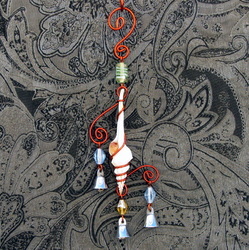 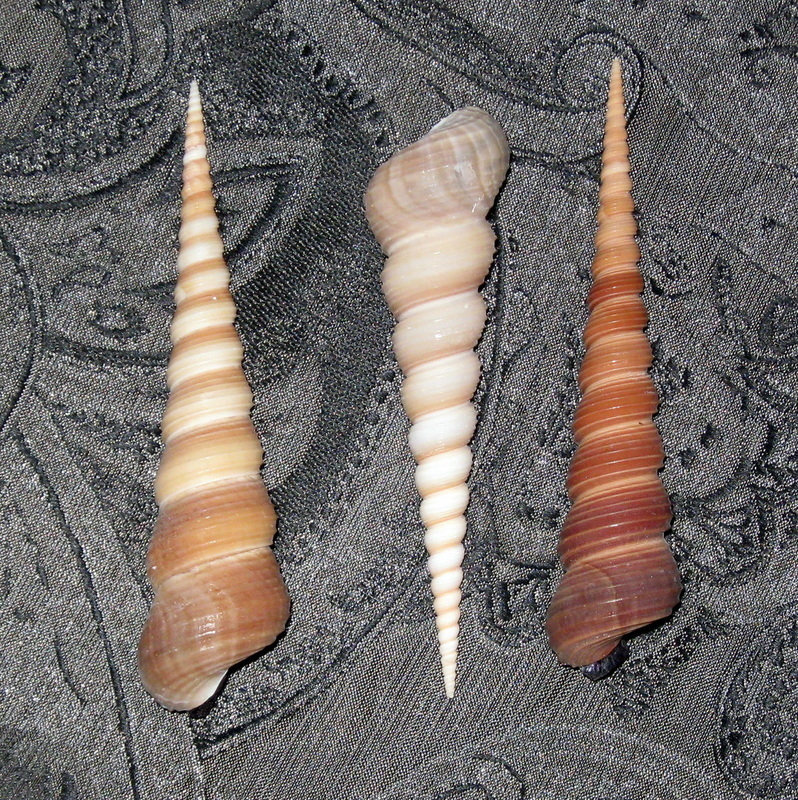 ♦ Color, shapes, and sizes of the Shells, Glass Beads, and Bells are all unique and have natural variation. 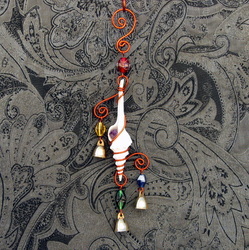 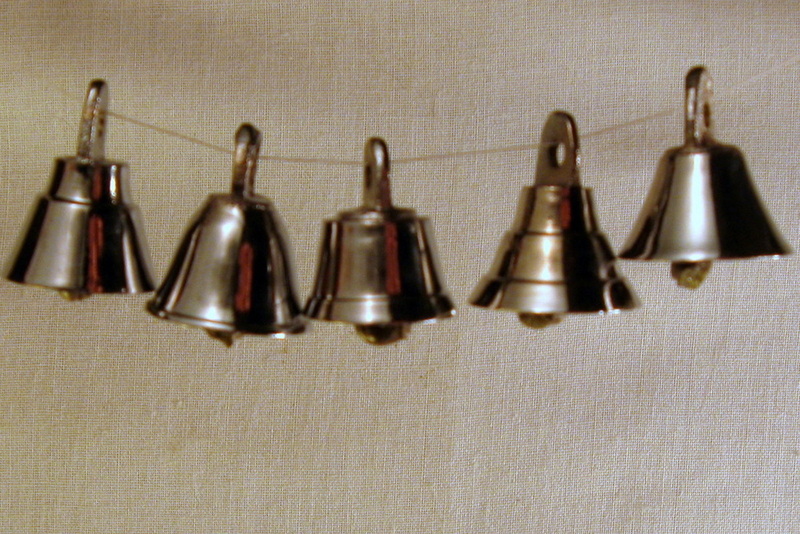 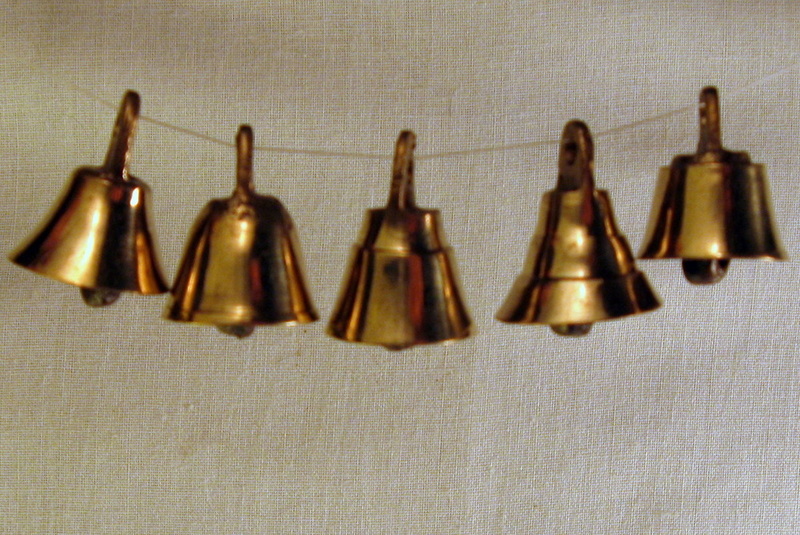 ♦ Length of piece from top of copper hanger hook to bottom bell ranges from approximately 6-9 inches. 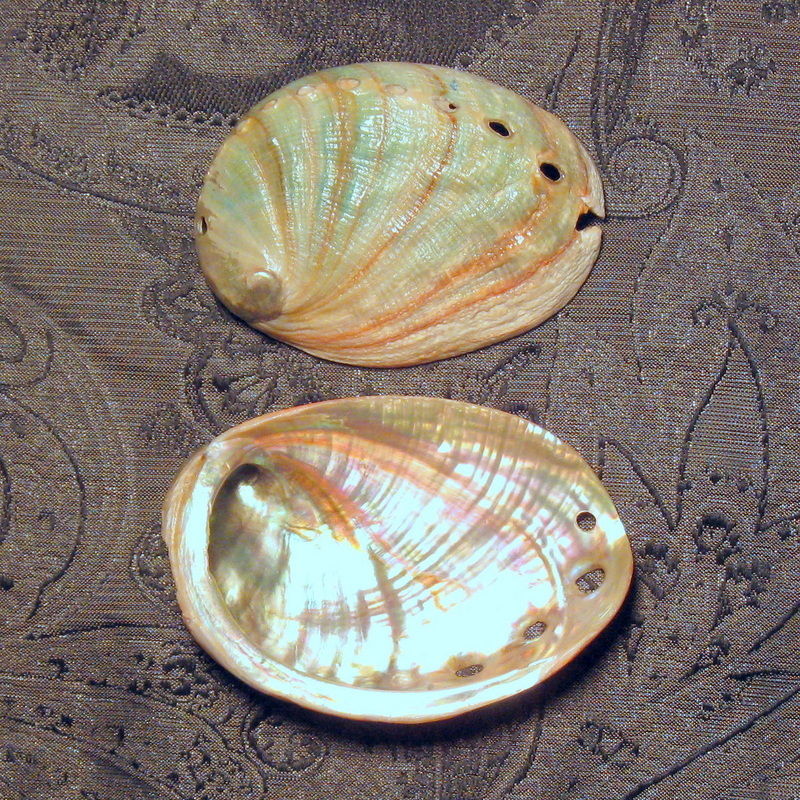 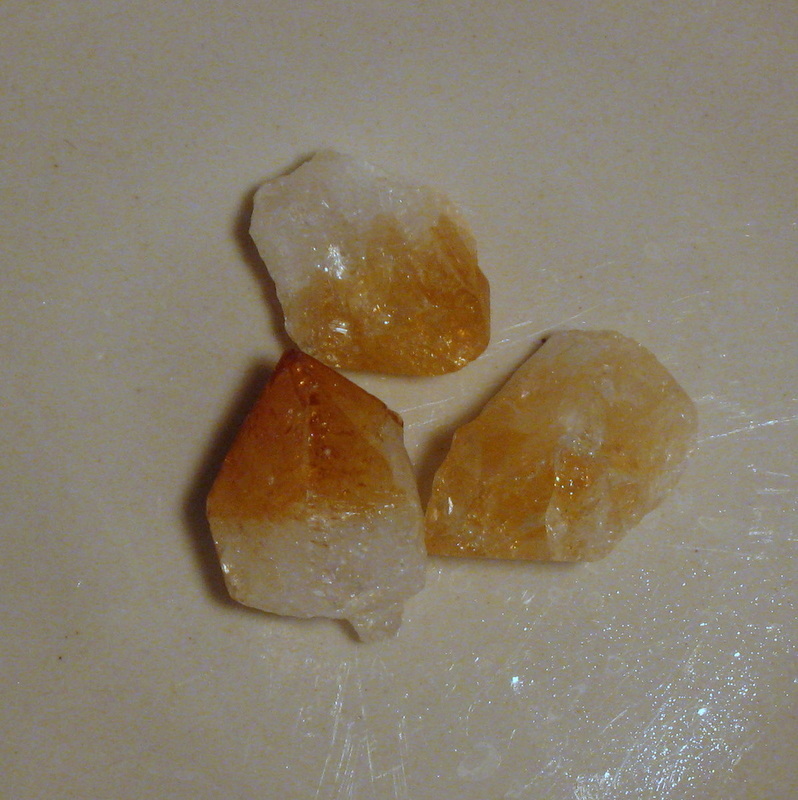 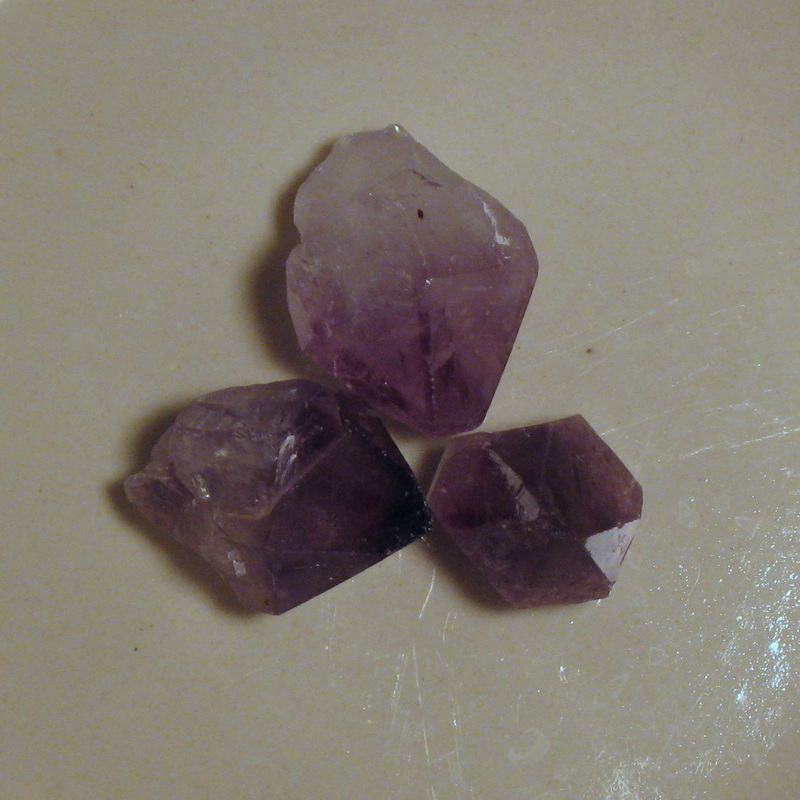 ♦ Crystals are set into the body of the shells.